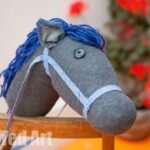 As you know, every so often, a reader shares some FABULOUS CRAFTY GOODNESS with me.. I then ask if they would mind me sharing it with you, here, on Red Ted Art. Today, is such a day. 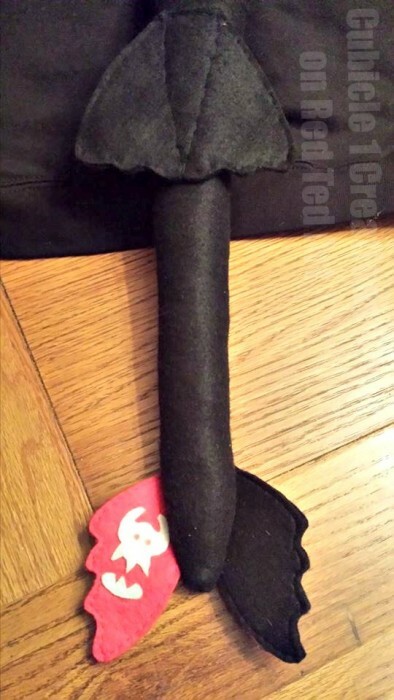 I was asking my readers about their World Book Day costumes and which book characters their kids had chosen to dress up in, when one read, Rachael, sent me this photo of her daughter’s Toothless Costume… oh my, I thought, isn’t that WONDERFUL. And my kids would ADORE a version of this. 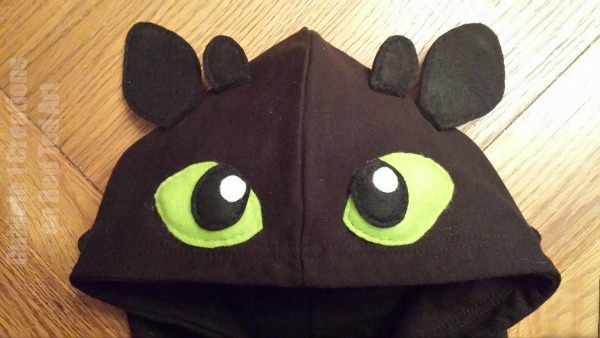 The best thing, is that Rachael bought a plain back hoodie and with some defty felt additions, converted it into this seriously AMAZING Toothless Dragon Costume. Don’t you agree, that it is simply stunning? 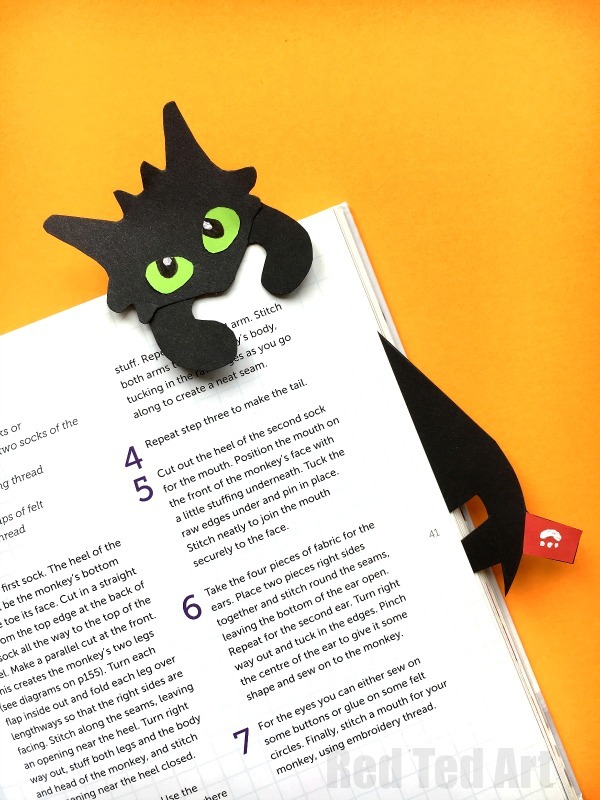 We also have an adorable Toothless Bookmark to check out. 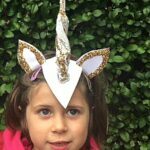 Now this post isn’t a full “how to” nor do we have any templates for you, but Rachael kindly shares her photos with us for inspiration. I think you will agree, that it is a great guide and should be relatively easy to reproduce. 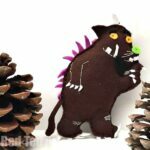 Hi, my name is Rachael Welby and I create affordable padded felt creations for the home. I handstitch them all, and each one is unique. Most of what I make is made to order, so on this page will be ideas of what I have made, but the actual colour and design is up to you. All you need to do is ask. 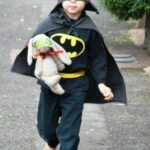 The name ‘Cubicle 1 Creations’ comes from when my son James was having his radiotherapy and chemotherapy for his inoperable brain tumour which he was diagnosed with at just 6 months old.. He spent literally half of his life in Newcastle General Hospital. Whilst spending that time on the hospital ward with him I began to knit scarves for the nursing staff to pass the time as James slept alot and to keep my own sanity… Cubicle 1 was our room on the children’s ward. I dedicate Cubicle 1 Creations to my late son who lost his lifelong battle with a brain tumour just days before his 11th birthday on 29 May 2012. 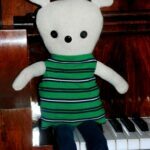 As a parent, I cannot imagine, what Rachael is going through, but I am inspired about the how she is channeling her story into something so positive and creative. Please do visit Cubicle 1 Creations today. 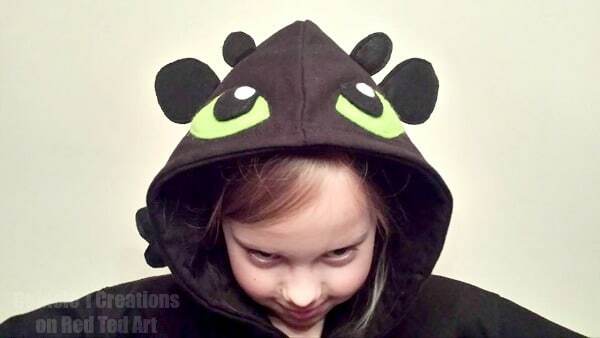 Now to Toothless and the Toothless Dragon Costume! Hand or machine sew your details. 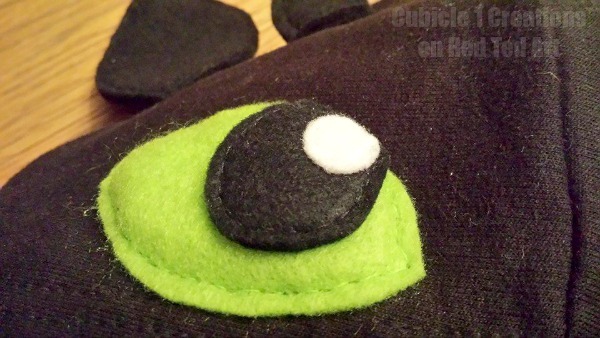 The ear details are made up of two pieces of felt sewing together to give it some shape and stiffness. 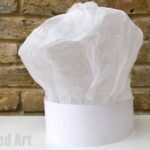 For the eyes you can add a little padding to make them really stand out. The whites of the eyes have been glued on with fabric glue. 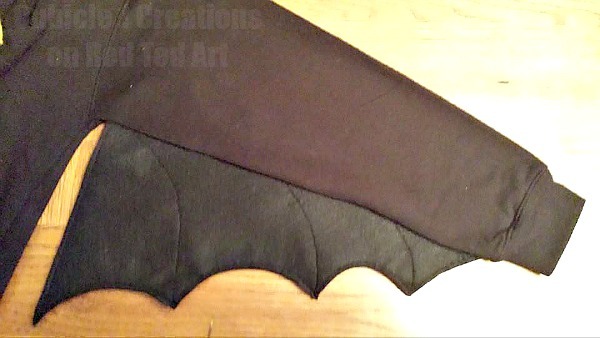 Cut four pieces for the wings. If it helps create a template from paper first and check out it looks (size wise) against your child’s arm. Sew on details as per the picture above and then hand stitch to your hoodie. I LOVE the attention to detail that went into the tail! WONDERFUL. Once finished wear with black trousers or leggings. 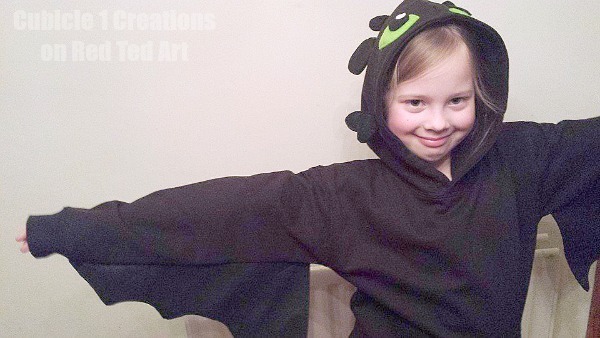 Isn’t this a simply delightful Toothless Dragon Costume? I am so so so inspired and want to have a go at this too. WONDERFUL. 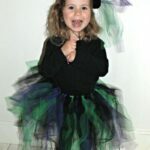 This is a terrific costume and it seems real simple. 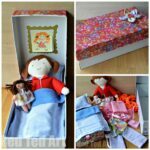 My kids are going to want this – thanks for the post. Isn’t it just?! Mine want one too!